Air Line: 3D File just one Click away ! The Green Blow air line is meeting a great success in a lot of activity fields. Every day we compare ourselves with your technicians to offer our support in correctly configuring the blowing system based on the specific needs of your application. To make the application even easier, we decided to implement a tool that could help designers in the selection and configuration of the product. FM PartCommunity it’s now online ! This is the tool that will make all designers’ lives easier! 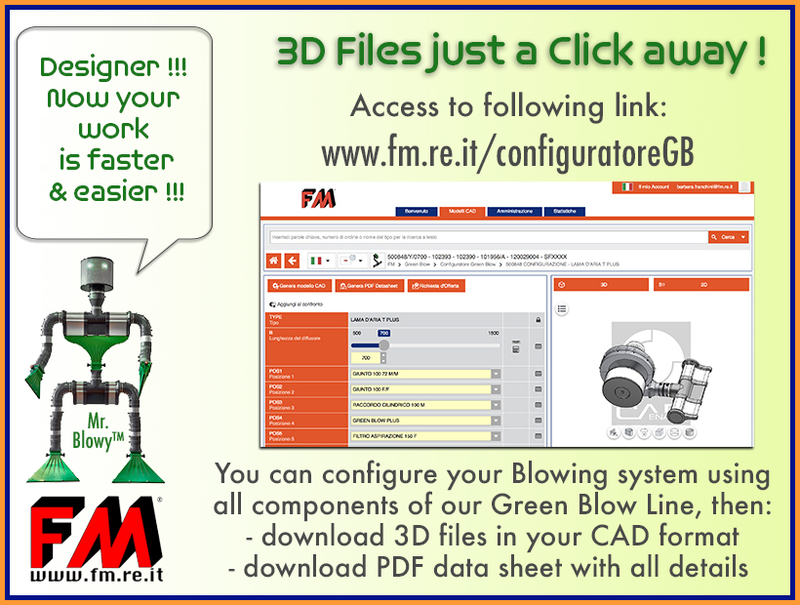 – to create and compose your blowing system and download 3D, starting from the selection of the type of air knife, then adding all the components that will allow the connection with the blower and with your structure. – download a pdf data sheet summary with the list of components and products selected, also useful for requesting a quote. In addition, the downloadable 3D file is not a generic format, but you can select the format of your CAD system so that there are no compatibility and import problems! We are sure that these tools will simplify the work of all the designers and make the selection and application of our products to your systems very simple and fast. 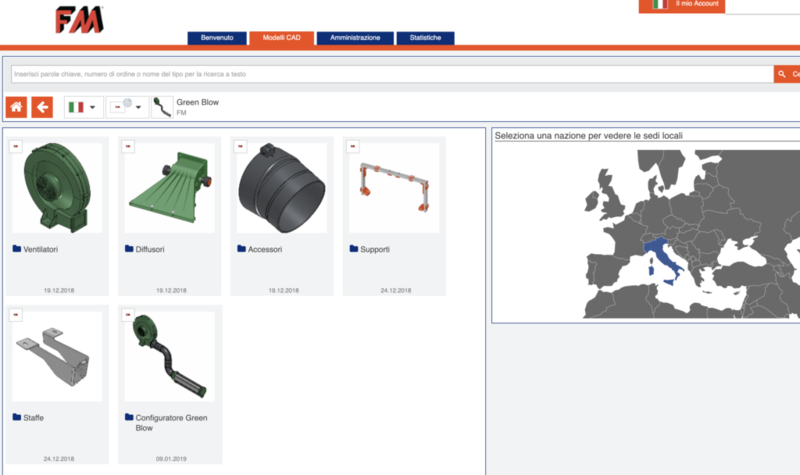 The air line, for its complexity, is the first line of our catalog that we decided to implement with this tools. Later, other lines of the FM catalog will be added, such as roller conveyors.